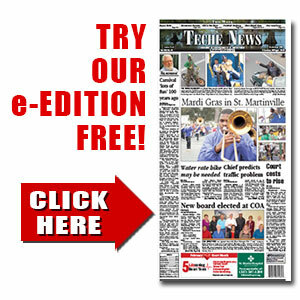 Governor's transportation task force to meet in Lafayette Wednesday | TecheToday.com | Teche News | St. Martinville, La. The Acadiana Planning Commission, One Acadiana, and LEDA will host a regional meeting of the Governor’s Task Force on Transportation Infrastructure Investment in Lafayette. The regional meeting in Lafayette will be held from 10 a.m. to noon Wednesday at the LITE Center, 537 Cajundome Blvd. The public is invited to attend. The task force’s co-chairs, Department of Transportation and Development Secretary Shawn Wilson and Gen. John Basilica, will attend the meeting, along with other representatives of the 18-member panel. They will hear from Acadiana public officials, business leaders, and other stakeholders about regional transportation needs and priorities. Gov. John Bel Edwards appointed the task force in June to research, identify, and make specific actionable recommendations on reducing Louisiana’s $12.7 billion transportation backlog and funding the construction of new “megaprojects” in the Statewide Transportation Plan, such as the I-49 Lafayette Connector. The panel is due to submit their recommendations to the governor by Jan. 1, 2017.